This 4785 acre (1936Ha) property is located at Jackadgery, on the NSW North Coast. The property has bitumen road frontage and is approximately 36Km West of the Grafton CBD and about 8Km East of the Jackadgery Service Station. There are substantial stands of timber on the property; predominant species being iron bark and spotted gum, along with tallowwood, stringy bark and some brush box. There is a current PVP for the property, dated until 11th January 2024. The property was last logged approximately 8 years ago. There is a large converted shed situated in a clearing at the front of the property which is ideal for weekend stays, with mains power connected and a large rainwater tank supplying water to the building. A permanent residence could also be built here (STCA). Purgatory Creek runs along the North Eastern boundary and Gundahl Creek runs toward the rear of the block. Fencing overall is in a state of disrepair, though there are some good stands along parts of the boundary. The property is Identified as Lot 1031 in DP 1097738. 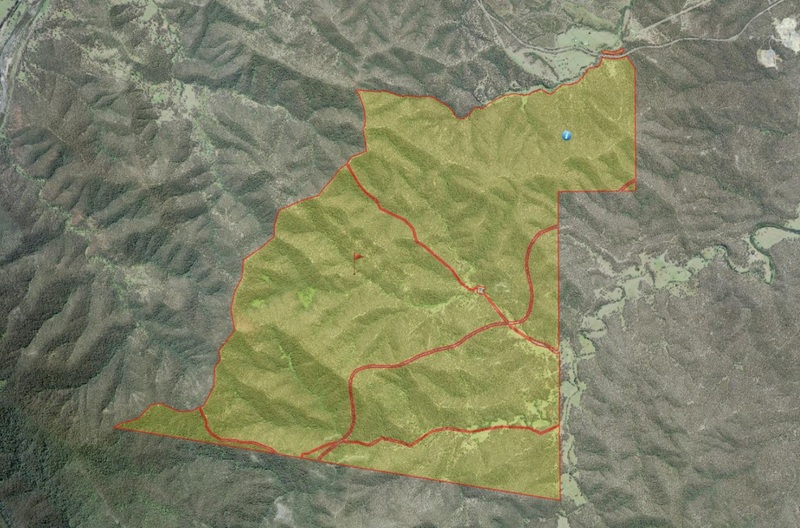 This property is located in the Clarence Valley Council district and is zoned RU2 (Rural Landscape) and RU3 (Forestry). If you are looking for a property with good stands of millable timber, I would encourage you to inspect. Phone JoJo Newby of Farrell McCrohon Stock & Station Agents on 0417 690 637 to discuss further.